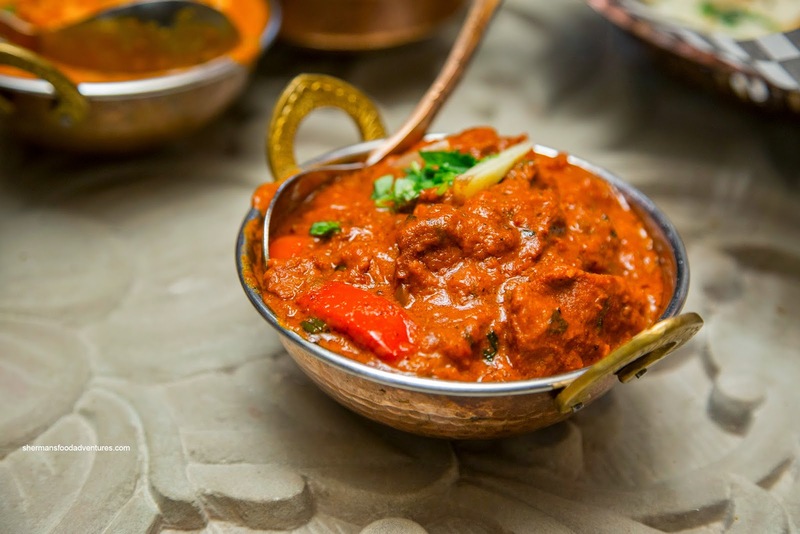 Often, when we think of posh and trendy, Indian food would not necessarily be the first thing that comes to mind. That would usually be reserved for the Global Group with its form over function. Now what if we combined great food AND some slick digs? 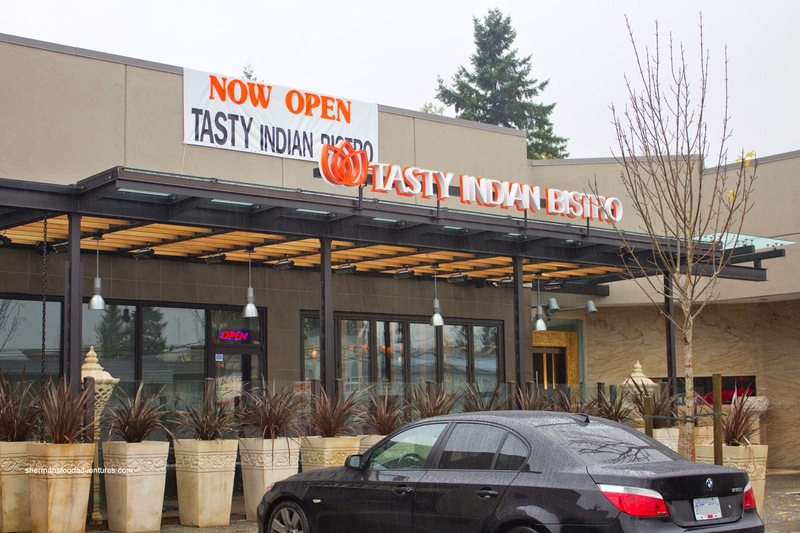 Tasty Indian Bistro dared to do such a thing when they moved from their humble home on 80th at Scott Road. With some impressive decor and style backed up by "tasty" food, I had a good experience the last time I paid them a visit. Therefore, it didn't take much convincing to accept an invite where I enlisted the help of Miss Y. 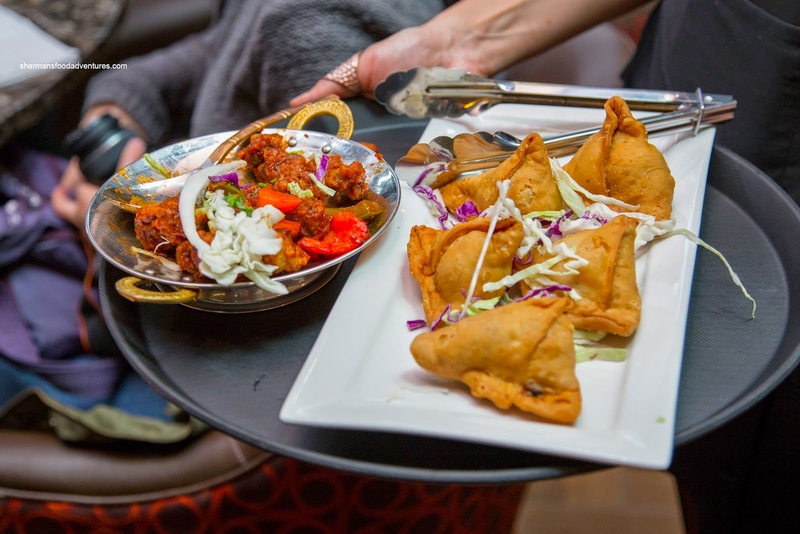 With a DJ and an intended party atmosphere, we were treated to several appies including Chilli Mushroom, Chicken Samosa and Fish Pakora. Despite the name, the chilli mushroom was not really all that spicy. There was a kick though and it went well with the crispy battered mushrooms. The samosas were not bad with a crispy exterior that was wasn't too thick. Inside, the chicken was moist with a bit of spice. I liked the fish pakora the most as it was lightly battered and crisp. Inside, the fish was flaky and moist while the dusting of cumin added some spice and Earthiness. Onto the mains, I took a sample of the Butter Chicken first. This version was on the creamier side with only minor hits of tartness from the tomato. I found it quite sweet with a noticeable spice level. The big chunks of chicken were sufficiently moist and tender to the chew. With ginger and onion notes, the Halibut Curry was full of flavour that included a definite spice that was balanced off by the mild fish and peppers. By nature, halibut can be rather dry if overcooked, yet in this case, it was okay (although I wouldn't call it flaky). 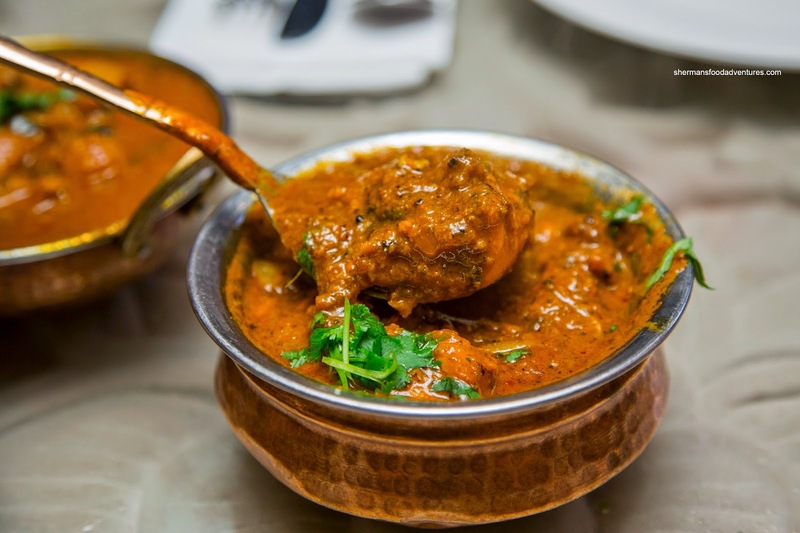 My favourite was the Kadahi Lamb partly because I'm biased when it comes to the meat. Yet also, this was pretty tasty, paying homage to the restaurant's name. There was also a good spice level which was accented by ginger and a rich sweetness. The lamb itself exhibited what makes it so good (a gelatinous tenderness). 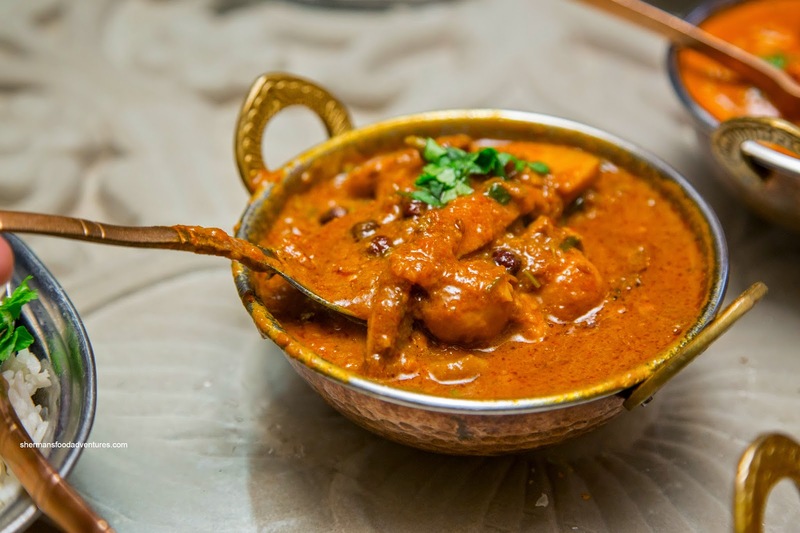 Bathed in a creamy sauce, the Portabello Mushroom Curry was a pleasant vegetarian offering. The slices of tender mushrooms provided some "meatiness" to this meatless dish. With ginger and vinegary notes, the curry continued the theme of a noticeable heat level. Onto another vegetarian dish, I sampled the Aloo Gobi. This was a nice departure from all the rich curries and really, I didn't mind a non-meat dessert at this stage of the meal. I found the cauliflower to be toothsome while completely cooked all-the-way-through. The potatoes were intact while fluffy inside. With noticeable garlic and ginger notes, there was also the hit of spice as well. 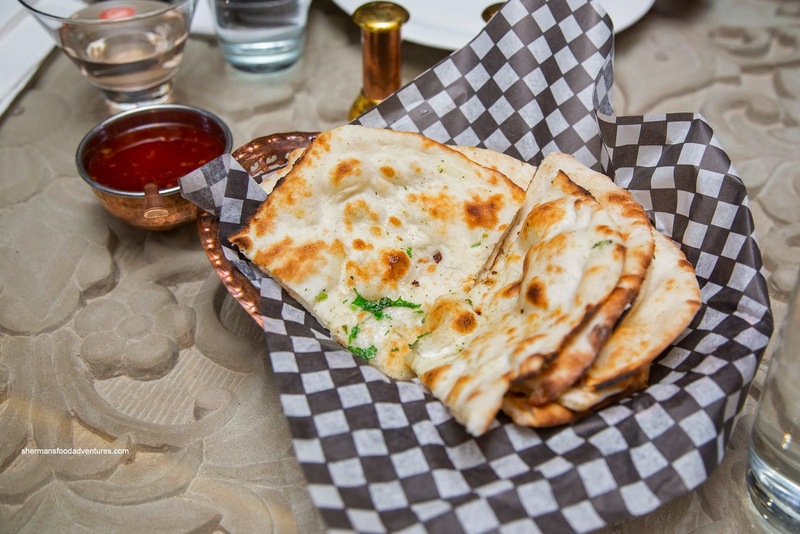 We were served rice and Naan (Garlic Naan too) on the side. 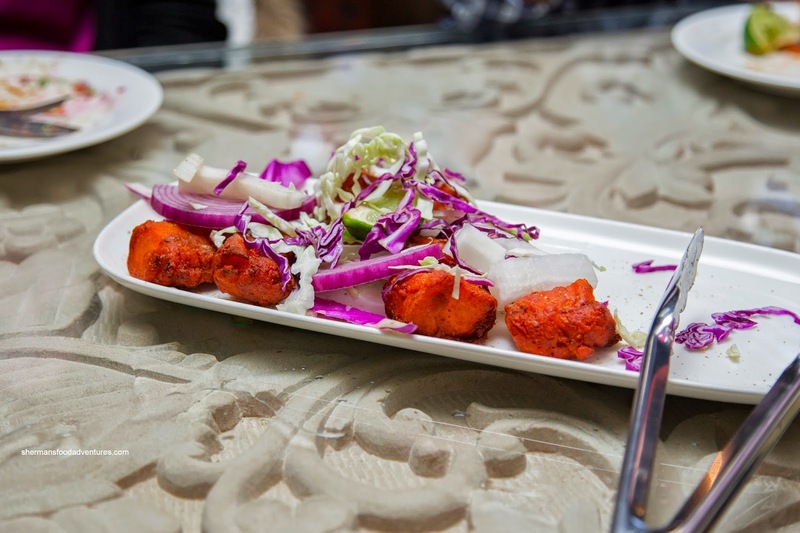 With the benefit of a tandoor, these were done right with a slightly charred exterior which was a touch crispy and chewy on the inside. I would've liked to see even more blistering though. 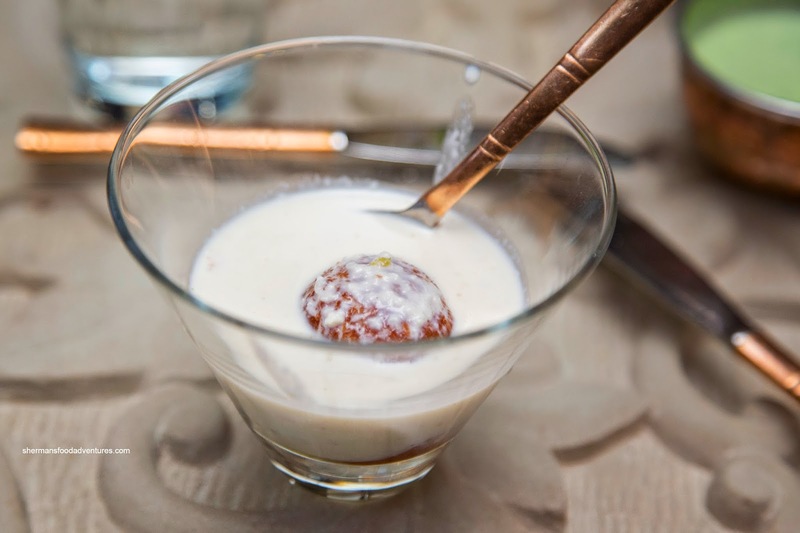 For dessert, we were served Gulab Jamun served in kheer. Naturally, it was pretty sweet, but the creamy kheer lessened the sting of the rosewater soaked ball. Overall, I thought the food was pretty much the same as the first time I had visited this location. That is a good thing as it was indeed "tasty". However, with that being said, the food is quite rich and on the saltier/sweeter side. The best dish I've had here was the mango curry chicken. The mango curry is just fantastic. Shermans does vancouver have any places malyali,mangalorean or malvani or some of the east coast Indian cuisines of Orissa ,AP ,TN or Bengal my suggestion try their dishes (esp seafood) if available they will be vastly different and quite unique. @Praveen That's a good question and point you make. 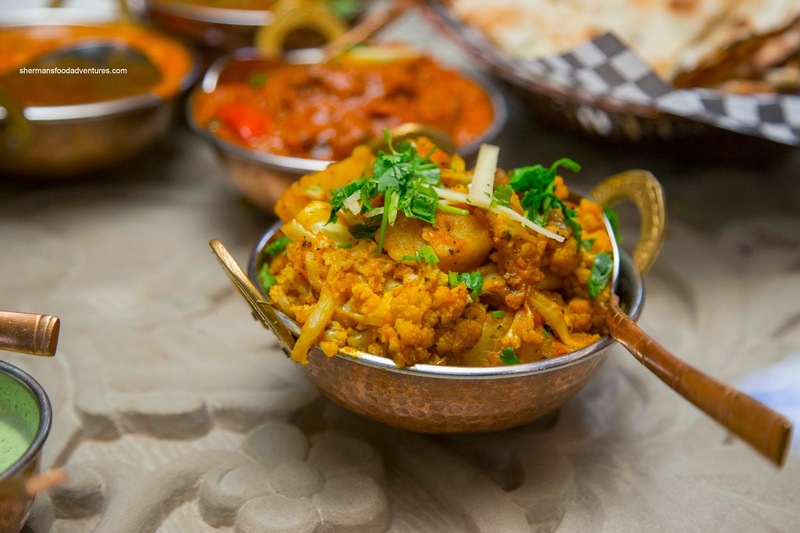 I'm not too sure about restaurants that solely specialize in those cuisines especially since Punjabi is the most dominant and recognizable amongst Vancouverites. 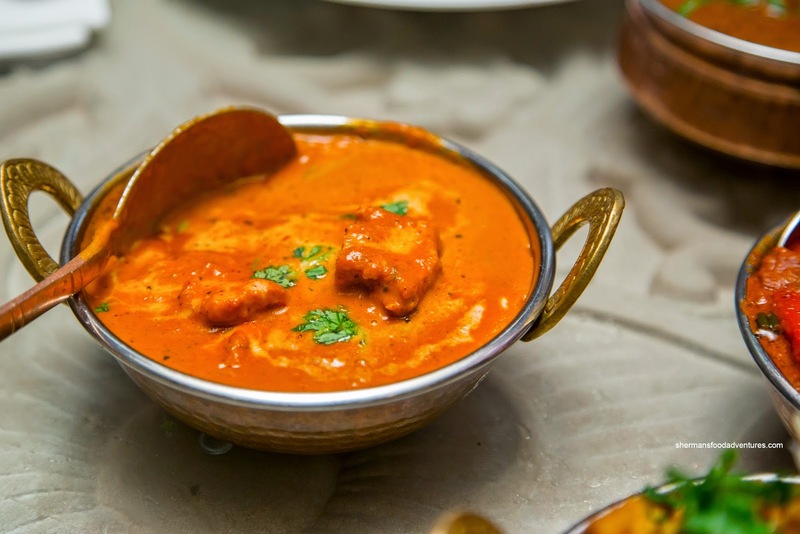 There was Bengali Fish and Curry before, but even that was not true Bengali food. They didn't prepare fish in the right manner.